Split rail fencing is a very popular type of fencing throughout New Jersey because it offers a “rustic” charm and appeal that many homeowners like. Often times you see split rail fencing on farms or colonial homes. The best part about this type of fence is that not only does it provide an enclosure and safety for your home, it adds overall value to your property. 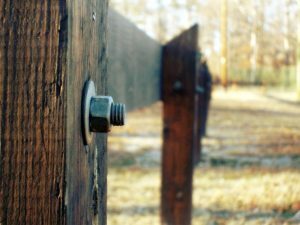 Although it looks like a relatively simple fence to design and install, there are a lot of intricacies involved when it comes to split rail fencing. This is why you will want to have a fencing contractor with skill and experience when it comes to designing, building, and installing this type of fence. When it comes to split rail fencing, the right fence company will offer a wide variety of styles. We will help you find a fence expert that will work with you to find a fence design that fits and accents your home perfectly! If you’re interested in having our craftsman install your new split rail fence, shoot us a message and we will help!